"Enhanced whiteboard. Your guide to the future of teamwork"
@Graeme This looks fantastic! I'm exploring it now, and it seems to cover a lot and is easy to use. It would also enable sharing, collaboration, and feedback too. 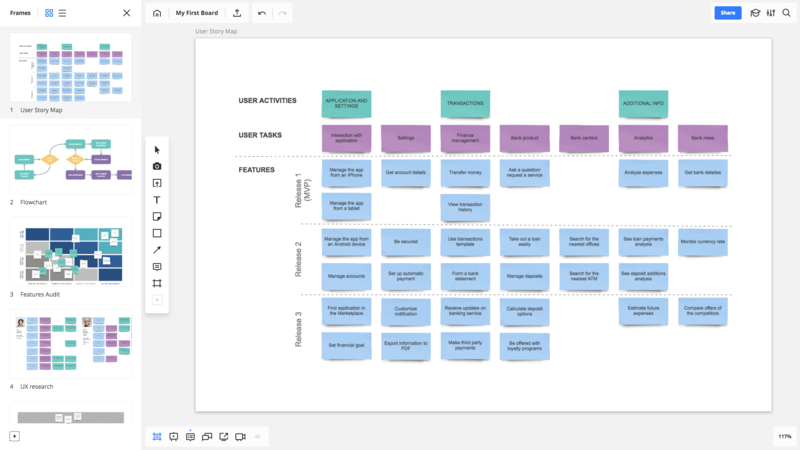 I might try using it with my current empathy map, user persona, and journey map to see how they look in this tool. Then I might try other target users other than myself. Thanks for sharing this.